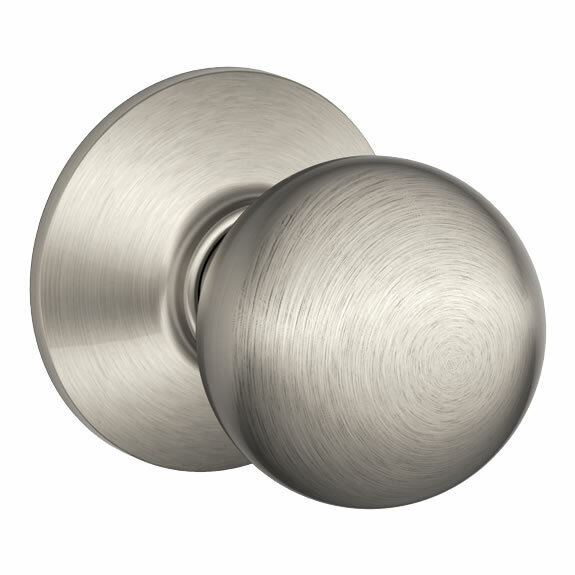 The Schlage Orbit door knob is a classic round sphere shape that works in all types of design styles. 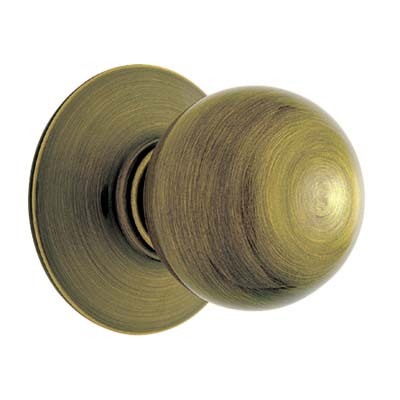 The basic ball shape feels good in your hand, and the simple design of this doorknob is timeless. 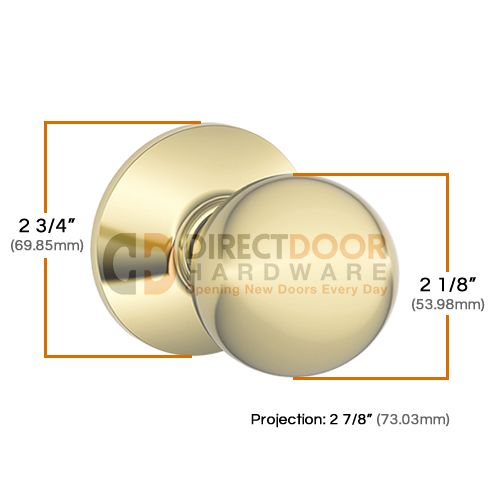 Schlage has designed the Orbit door knob with a versatile design that will fit multiple types of door preparation from a drive in latch to latches with faceplates. 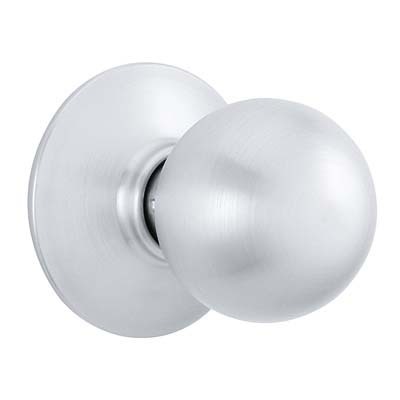 The Orbit door knobs are also very easy to install and a great choice as a dependable, brand name lock. 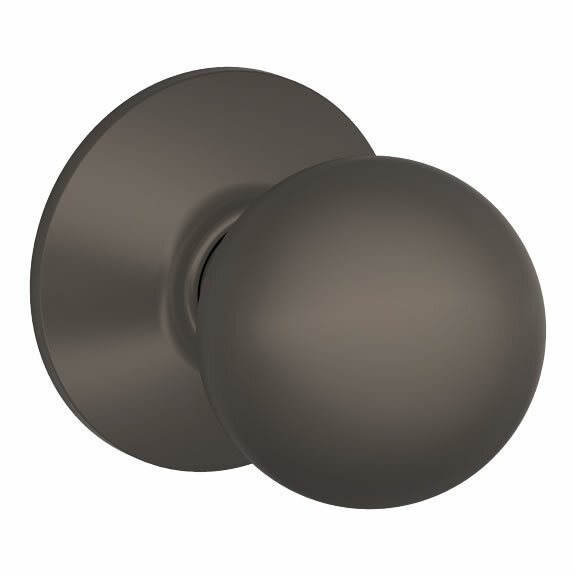 The Schlage Orbit knob is available in 8 finishes and 4 functions. as an architect I often have to find good budget solutions. 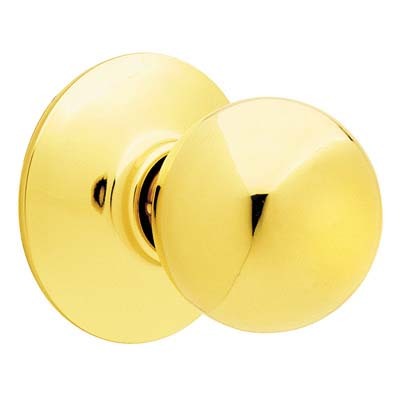 this hardware offers a simple modern look on a very low budget while being very durable and functional. it does not get much better until you have 10x $$$ to spend. The material was delivered on time and packed well, although, one tube had a dent in it. I just turned it in the other direction. Look's nice and was easy to install. 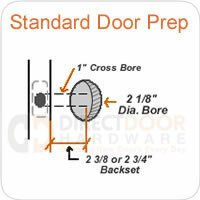 My Schlage Orbit was intalled today and it looks wonderful. 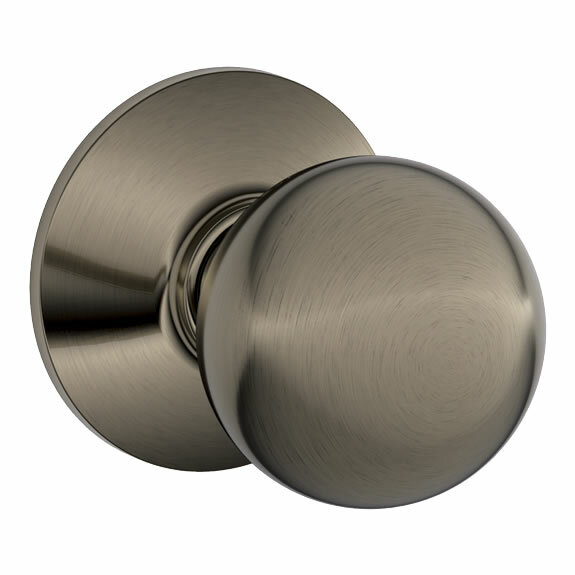 The brushed finish looks modern and sleek. It's an affordable option and I'm glad to have gone with it. Thanks! 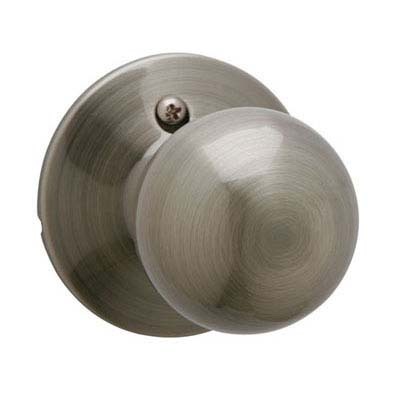 I wanted privacy knobs on the bedrooms in my home to match the existing knobs on the bathroom doors. None were available at the local hardware/big box stores. Thankfully, I found them here. 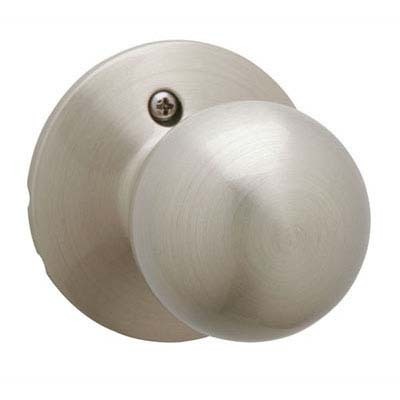 They are the same knob style, were a snap to install and work great. 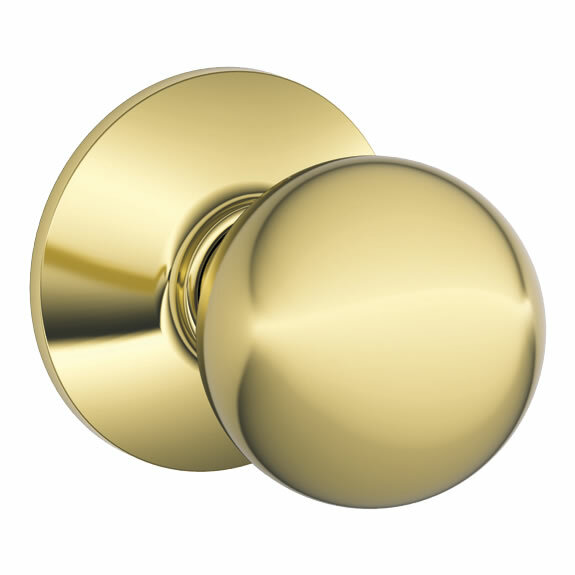 I installed this doorknob on a building's garbage room. It's working great. A good value for the price. Needed lots of cleaning before installation, though. It had a lot of dark powder on the the Oil-Rubbed Bronze finish. IS THAT BOTH INSIDE KNOB AND OUTSIDE KNOB????? 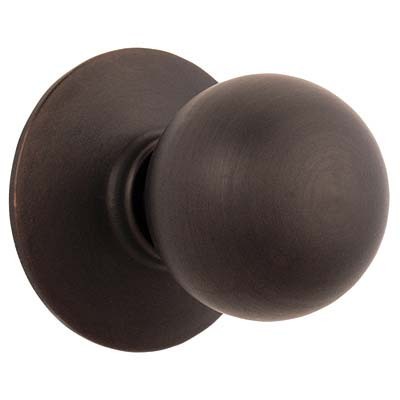 How do you lock this knob from the inside?